Harold Clark sent in an email in answer to C.J.Welsh’s questions. I publish a copy of it below. He provided a map to explain where Cae Breast is. Other names on the map might also be helpful in answering some of the questions asked. I’ve added an aerial view map as this also might be helpful. The name “Coed Cae Breast” can be seen at the bottom of the first map. A recent post gave a long list of questions about Pontypool which I received in an email from C.J.Welsh. To avoid publishing an overlong post I divided the email into two parts. I was able to answer a number of the queries myself and several visitors very kindly posted answers to some of the other questions. Below I now post the rest of the email containing a good many questions. I’m sure some visitors will be able to supply answers. What existed at the bottom of Merchant’s Hill (where the “new” houses are now)? I remember the houses being built, but can’t remember what was there before them. I also believe there was a pub there at one time – was the pub situated in the house perched on the edge of the bridge? I remember the old bridge (where the cycle path is now); did the two lines run parallel? I always remember these being lush and beautiful; on a recent visit to Pontypool, I was dismayed to see them looking like an absolute mess. 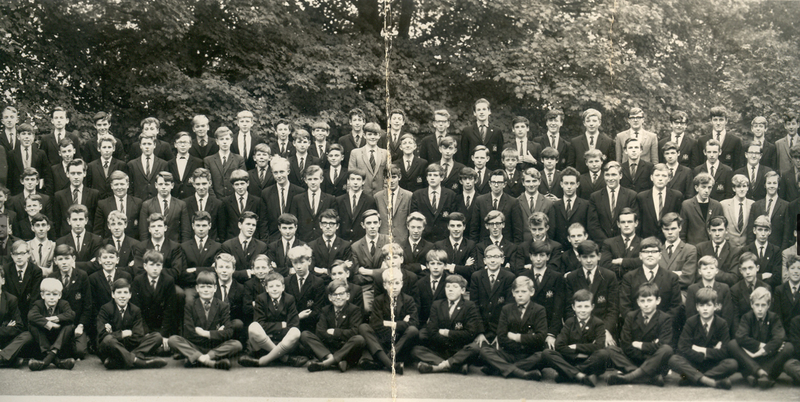 Does anyone have any old photos of it in its glory days? On a side note, does anyone remember the Argus hut just above it opposite St. James’s Church? All I remember of these from my youth was a mass of overgrown trees – a shame, since I always expected it to be something exotic/glamorous. I noted on a recent visit that it hasn’t changed much. What did it look like? As well as the Town Hall, there was a large purpose-built bus station on the site of the current Tesco garage. The bus station was in operation until the mid-1980s. If I remember correctly, buses from there would operate to Usk, Abergavenny, Hereford and the next valley (Crumlin, Blackwood, Ebbw Vale, Tredegar, etc.). Does anyone have any memories/photos of this? There doesn’t appear to be anything online, apart from ANCIENT photos of charabancs parked outside the old Free Press offices! 1) Why was it built of Bath stone? 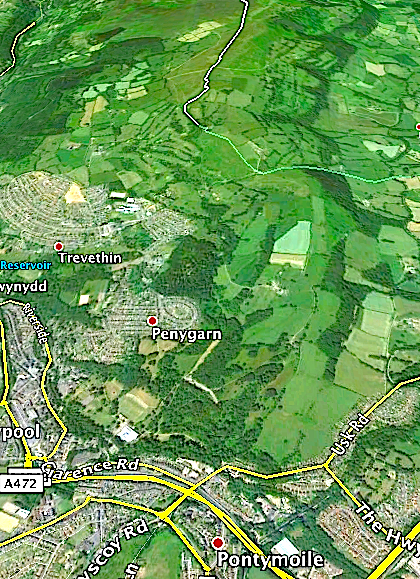 It looks very out-of-place for Pontypool! 2) What is the church’s connection with Dame Gwyneth Jones? I know she is from Pontnewynydd, but that’s pretty much it. 3) What is Laura Ashley’s connection with the church? I know that her company/foundation used to provide the church with financial donations, as well as fabrics for various projects. What existed here before the flats (now replaced by houses) were built? I remember them (and the road) being built, and a relative of mine was apparently one of the first people to purchase a maisonette there! I’m guessing it was old forges at one point, but they closed LONG before the flats were built. I recently found out that the Pavvy Hill isn’t the original! It used to run immediately to the left of the Horseshoe pub, with another pub at the top on the right – the name of which escapes me). Does anyone have any photos of this? My grandfather used to sell newspapers outside The Pavvy cinema when he was a boy, and would get extra money from waiting crowds by walking up The Pavvy Hill and back on his hands! Regarding Pontnewynydd industrial estate, what used to exist there? Something to do with mining I guess, since there are evidence of mine workings behind St. John’s Crescent, and I know the “top line” used to run there. What was there before the industrial estate leading up to Waunddu? I have ancestors that worked in Blaenserchan, Tirpentwys and Llanerch pits; does anyone have any maps/pictures, since I know nothing of these, other than the general areas (NO idea about Tirpentwys!). I have one ancestor who was involved in Tirpentwys’s famous pit collapse, and several others who were killed in the famous Llanerch pit explosion. Other than Dame Gwyneth Jones, there doesn’t seem to be anyone of particular note from the area! 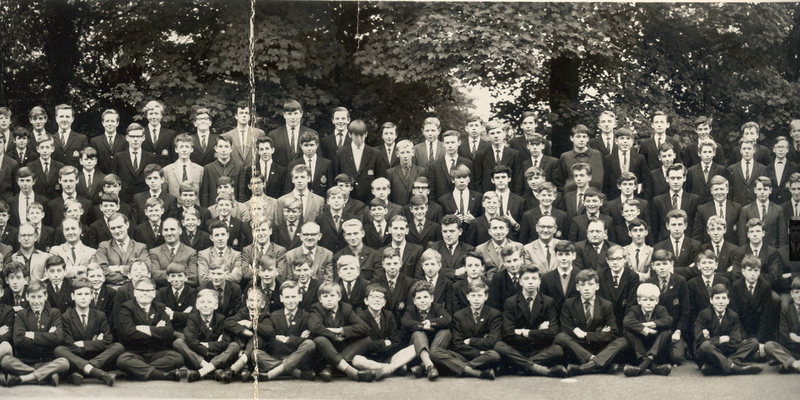 I know that Edwin Stevens (inventor of the hearing aid), Anthony Hopkins and Richard Burton attended West Mon for a time, but they weren’t born-and-bred. Do we have anyone else, of whom we can be justly proud? Yes, I’ve checked wikipedia, but there’s no one particularly interesting featured! I remember my grandmother telling me that the last building on what currently remains of Lower George Street (just after the vet, where the little path goes down to Osbourne Road) was a sweet shop. I’m guessing it was something to do with Truman’s sweets in the town market (any association with the Pontnewynydd minibus firm? ), but I have a memory of her telling me it was something to do with Welch’s Toffees – of which Geordie actress Denise Welch is the heiress. Can anyone shed any light on this? I remember there being several shops here between the existing jewellers and physio clinic; there was a Chinese, a hairdressers, and possibly a clothes shop and a record shop. I think Davis Wallpapers was further down? There were apparently flats above these shops; on the opposite side of these buildings was the northbound Osbourne Road bus stop, where I spent many freezing hours in my youth waiting for a “top road” bus to Abersychan! Osbourne Road – large old building? The fairly grand stone building next door to the White Hart – what was it? It’s been closed for as long as I remember. My grandmother seems to think it was the old Conservative Club (before its present site more or less opposite). Who remembers this fruit and veg wholesaler opposite Johnny Gould’s? It always smelled of fresh cabbage leaves outside! Does anyone have any photos of the interior in its hayday? My mother was married there, but all her photos were taken outside! Griffithstown and St. Luke’s Road – other hospitals? I distinctly remember as a child driving along the “top road” of Griffithstown and seeing a gate and a sign on the right (southbound) to a hospital of somekind; can anyone shed any light on this? New-ish houses currently stand there. I also remember a similar sign on the left of St. Luke’s Road (northbound) just before that enchanting gateway to the private house. I have the name “Glengariff” in a picture in my brain – what has this got to do with it? What existed on this site previous to these opening? Any photos? Italian Influence – let’s have a quick coffee before I close! Are there any I’ve forgotten about? Maps – a final suggestion? 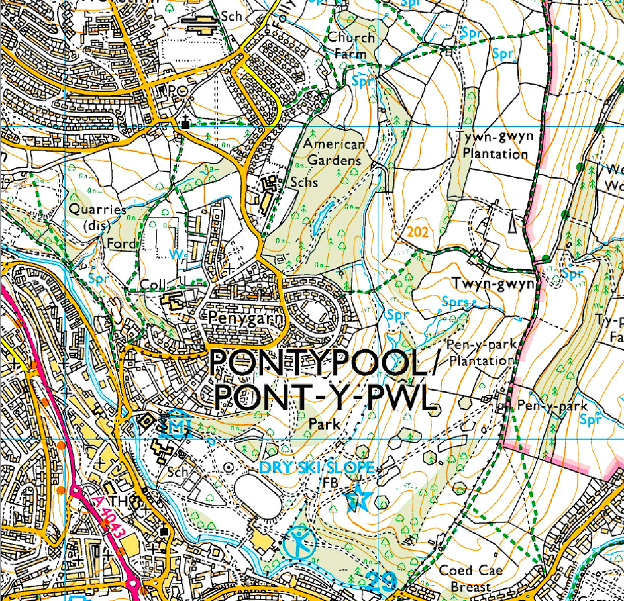 It would be lovely if someone was able to create/draw/superimpose/photoshop a map for each decade in Pontypool, with clickable icons on notable landmarks (pits, forges, old roads, pubs, shops) to see how things have changed in Pontypool over the past century or two. Maybe even create a 3D Pontypool tour for each decade? I should copyright this idea and sell it to the museum! Any questions? I’m happy to help if I can! If you need any information on Talywain, my grandmother is an AUTHORITY on the area, and probably personally knows every person that’s lived there since the dawn of Time! Photographs of Pontypool pubs wanted. Do you have any? I recently received an email from Rebecca Roseff who is the Archivist of the Archive of Cider Pomology at the Hereford Cider Museum. She is interested in using some good quality photographs of Pontypool pubs for reproduction to use in an exhibition. If any visitors have any such photographs please email me a copy and I’ll see whether I can enhance them by computer. One particular photograph Rebecca was interested in is the one of the people sitting in the Noah’s Ark pub. https://oldpontypool.wordpress.com/2011/07/20/murder-at-the-parrot-inn-and-some-old-photographs-of-pontypool This was sent to me by Clive Barnby. So, if you have a copy, Clive, which is of good quality and could send me a high quality file I’ll forward it to Rebecca. The actual photographs on the blog are usually reduced to 72 dots per inch (dpi) but for an exhibition I should think she would need at least 200 dpi. Information requested about old Pontypool. Can you help? Last week I received a long email from C.J.Welsh who describes himself as a “thirty-something whippersnapper”. He was born in Pontypool and thinks that four or five generations of his family lived there. He asked all manner of questions about Pontypool and, with the assistance of my friend, Eric Smith, I was able to answer a number of them when I replied to his email. However there are quite a number of enquiries which I couldn’t answer or perhaps only in part. As C.J. said I am welcome to quote his email in my blog I now do so below. If you can supply any of the requested information please make a comment on the blog. Looking at several census records, it appears that one branch of my family lived on/worked on/owned a farm of the aforementioned name (the writing on the records isn’t the best!). Does anyone know where this is/was? I’m guessing from the running order on the records that it might be on the western side of the valley between Lasgarn and Trevethin – but this is only a guess! What was the farm like and what was its function? Does anyone have any info/pictures? My grandfather, who “upgraded” from Trosnant to Machine Meadow (out of the frying pan…) often joked that the area was referred to as the “Packman’s Puzzle” – i.e. because all the houses in that area looked so similar, no one apart from the locals was sure where anyone lived… Which was great, since many of them were avoiding debt collectors, bailiffs, etc. My grandfather is still exceptionally proud of this fact, much to my grandmother’s chagrin! I remember the pool being there (albeit drained), but never saw it in its glory days. My grandfather always speaks fondly of it, and my mother and her brother remember playing there as children. Does anyone have any pictures/stories? My late grandmother ran her own successful private nursery from her home in Park Terrace for many years, until she had a heart attack and had to close it. Does anyone remember attending? Bear with me – it IS relevant! A piano teacher, Ruth E. Williams, lived in Brynderi, Old Penygarn (what was regarded as probably the poshest house there), for many many years until her death in late 1999. She trained at the Royal Academy of Music and bought her first car before driving tests existed! Her other daughter’s name escapes me, though I know she was much more high profile than Jennifer, and moved to Mexico, where I believe she still resides. I never knew Ruth’s husband, but I’m guessing he was quite well-to-do, judging by Brynderi! Anyway! Ruth’s maiden name was DANIEL; she was the daughter of (what she modestly described to me many several times as) a shopkeeper in Abersychan. When I discussed this with my grandmother, she shrieked! Apparently the Daniel family had a massive reputation, and were considered VERY well to do. Ruth was always exceptionally well-spoken, and I’m guessing the family must have been well-off to send her to RAM! Does anyone know anything further about the Daniel family, or have any contact with Ruth’s daughters? As a small child, I often used to walk and play in Church Wood, and remember a large old house next to the big waterfall near Ty Nant Ddu (NOT the cottage next to Pontnewynydd Legion), that had loads of abandoned rusty cars outside and hundreds of barking mongerels! I was always told to stay away from the house because “the Clampetts live there, and like to eat little children!” How old was this house? What were its origins? Little remains of it now, save a few bits of rubble and a slight clearing in the growth. On entering Church Wood from Park Road, one can see a large white mansion house directly in front, which has rear access from the Riverside road. I remember a lovely, very tall old lady called Mrs. Murray used to own it, but she eventually moved to Griffithstown. What are the origins of this house? Why is it so named? No church exists there, and my grandparents certainly don’t remember one. I have a vague memory of my great-grandmother telling me a story about it being something to do with Trevethin/St. Cadoc’s Church. Was that area of land owned by them? I know that Trevethin was the registration centre for Pontypool at one time. At the entrance, there is evidence of some kind of gateway. What did this gateway look like? Was it an entrance to the Hanbury estate (the park)? Again, seemingly unrelevant, but bear with me! There are other queries which C.J. makes but I’ll leave the rest to another blog which I’ll post quite soon.